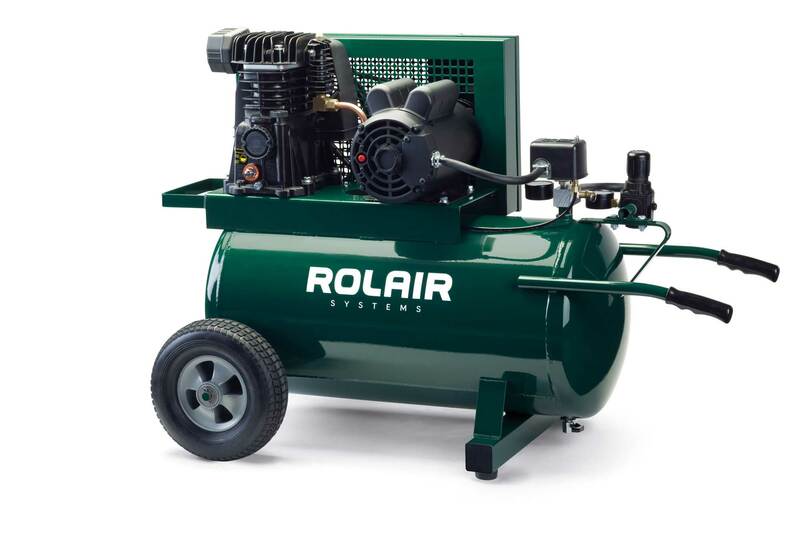 Model 5520MK103A is our entry-level 20 gallon wheelbarrow-style air compressor. The larger tank assembly allows the 5520MK103A to sustain 7.3 CFM @ 90 PSI longer than the traditional 9 gallon twin tank design. The low-RPM pump and motor combine for quiet operation and minimal amp draw. Optional Equipment: Filter-Regulator-Lubricator Sets, Dual Voltage Switch, Dual Control Operation. PUMP OIL CAPACITY 17 oz. L x W x H 42"x22"x34"